The first of the three Ministerial Meetings dedicated to Innovation – specifically to Industry/ICT Science and Labor – is scheduled to take place on September 25-26. The agenda of the meeting includes the transformation enabled by digital technologies, advanced robotics and data-driven production processes. "The Next Production Revolution (NPR)" as defined by the Organization for Economic Cooperation and Development (OECD), is already in place, empowered by developments in robotics, the industrial application of artificial intelligence, the diffusion of 3D printing technologies and real-time big data analytics. The transformations related to the diffusion of Industry 4.0 will have a deep impact on society and on the labor market in the coming years: while the NPR is a crucial opportunity to modernize production, it could lead to negative effects on employment levels if not adequately planned and guided. The G7 countries have adopted strategies to address NPR's complexity challenges, such as the "Industrie 4.0" plan in Germany, "Industrie du Futur" in France, "Society 5.0", "Connected Industries” and “IoT Comprehensive Strategy” in Japan, "Innovation and Skills Plan" in Canada, as well as the "Digital and Industrial Strategies" introduced in the United Kingdom. A similar path was undertaken by the European Union, which in April 2016 launched the Industrial Innovation Plan called "Digitising European Industry – Reaping the full benefits of a Digital Single Market". 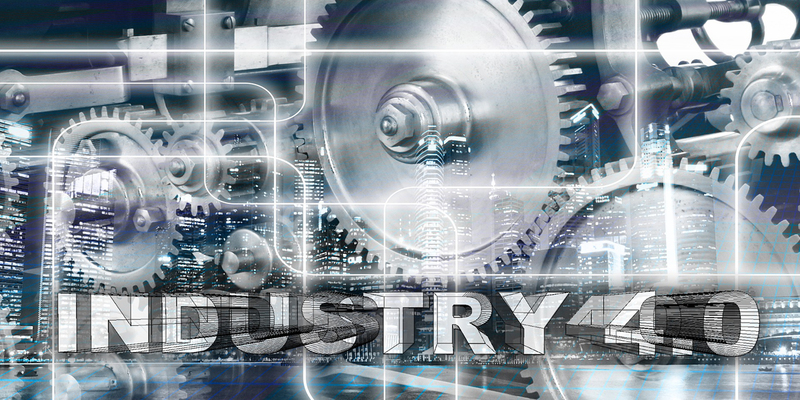 With regard to Italy, on September 21, 2016 the Ministry of Economic Development presented the Industry 4.0 National Plan, with the aim of spreading the benefits of the New Industrial Revolution. The Plan provides Italian companies with a public investment of 13 billion euro, with considerable tax benefits, to stimulate private investment in assets with high technological components. The Plan aims to transform the Italian industrial sector, supporting the widespread diffusion of enabling technologies, such as co-bots (collaborative robots), interconnection between machines, augmented reality, 3D printers and Big Data Analytics Software. The issue of culture and digital skills is a key point in the Plan, as Industry 4.0 is a new production paradigm based on innovative governance and management models. For this reason, incentives to significantly increase the investments in research and development have been introduced. The initiatives undertaken by the G7 countries aspire to be considered best practices, to be shared in order to fuel a debate aimed at addressing the challenges posed by the Industry 4.0 in a coordinated way. This theme will therefore play a central role in the ICT/Industry Ministerial Meeting, whose three key words are: inclusion, openness and security. Inclusion means the ability to support Small and Medium-sized Enterprises, which represents at least 70% of the industrial sector of many G7 countries, in their digitization processes. Governments will have to support the transition of SMEs and foster the growth of ecosystems where innovation can prosper, even in cooperation with major companies. The keyword openness is related to the free flow of data and information, interoperability of systems, access to enabling digital infrastructures and, above all, the possibility of sharing the benefits of artificial intelligence, for the well-being of all citizens.Finally, security is another key prerequisite in an ecosystem where companies are increasingly threatened by ICT risks. Security is related also to intellectual property rights, which continue to suffer violations causing economic and social losses. International cooperation is crucial to ensure a responsive and balanced spreading of the NPR in G7 countries, by defining common policies and strategies.